Auction Decorating: Rustic Rules - Again! I ran across a wonderful house featured in House and Garden, UK. It's the home of the antiques dealer, Josephine Ryan, and is located in the South of France. The use of casual rustic furniture throughout makes for such a warm and welcoming feeling! The use of rustic furniture doesn't feel like Ryan has scrimped in any way. It shows great decorating confidence. She has created a space that you feel you can kick back and relax, and have lots of friends over for long Summer parties. 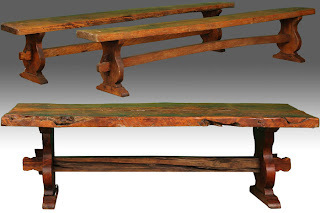 You might find rustic pieces at flea markets, barn sales, and, of course, at auctions. It just takes some vision! 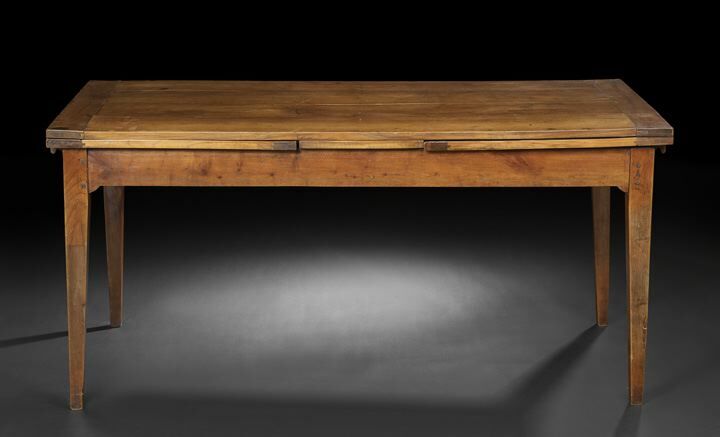 This early 19th century French fruitwood farm house table is perfect! It extends to 117 inches long, so would be great for your big parties. 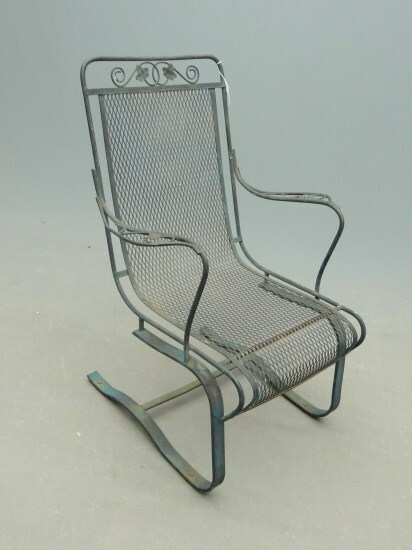 This sold at a New Orleans Auction for $1,845 off an auction estimate of $1,800 - $2,500. 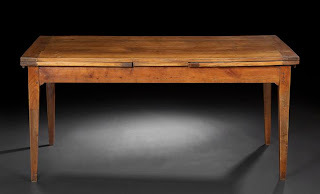 This mid-19th century French pine table would be great in a kitchen. This measures 72 inches long, and also sold at a New Orleans auction for $522.75, off an auction estimate of $500 - $800. 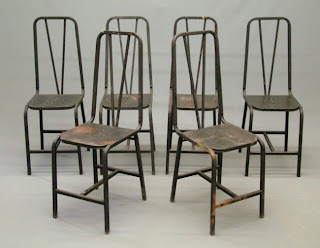 I love these Moderne metal chairs! Josephine Ryan mixed chair styles at her dining table, and you might do the same - some metal and some wood. These sold at a Copake Auction in Copake, NY for $50, off an auction estimate of $25 - $50. 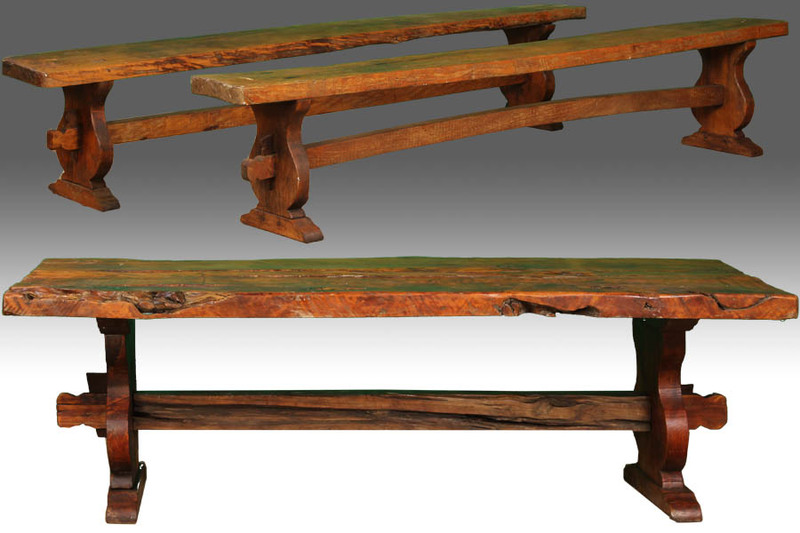 Benches are great at dining tables, and this rustic set would be perfect. I like this table and benches because of their style, and their bargain price. 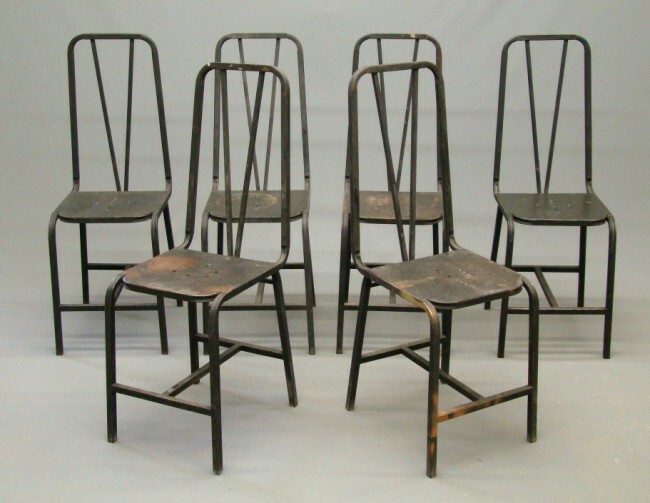 This set sold for $700 at Kamelot Auctions in Philadelphia, off an auction estimate of $300 - $600. Notice how Ryan uses a rustic bench a a place for display in the bottom photo. The bench can double as extra seating when needed. 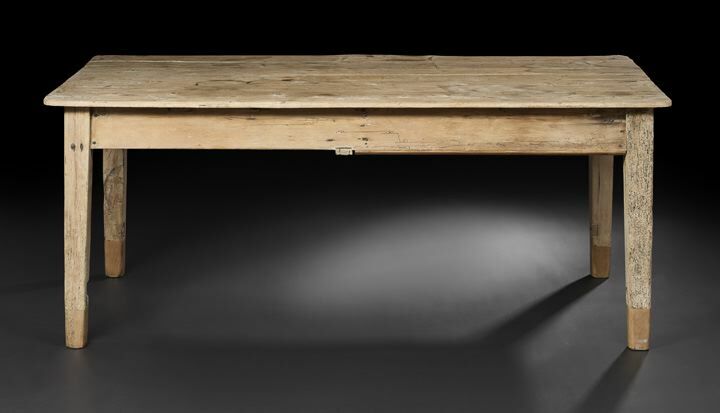 This bench sold at a Stair Galleries auction in Hudson, NY for $100, off an auction estimate of $100 - $200. It is 112 inches long and is red-painted Swedish. The top photo shows a metal chair in the back of the room fitted with a cushion. This chair is a close cousin. This sold at a Copake Auction for $50 off an auction estimate of $25 - $50. You can go totally rustic in your decor, and add some big cushy white upholstered IKEA sofa for maximum feeling of relaxed decor. Or you can mix in some rustic pieces with more refined furniture for an unexpected look. Just be creative and bold!